Tallar, 6 st, höjd 50 120 mm. Quick, easy and favourably priced. 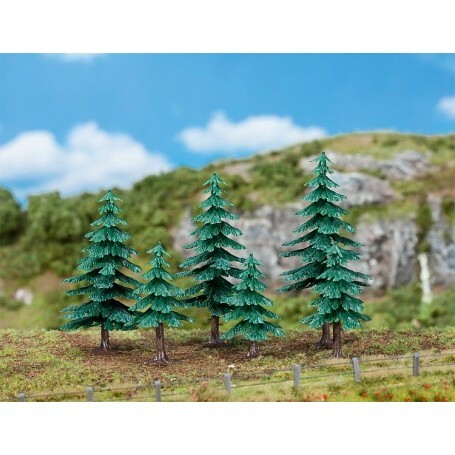 Simple plastic trees. To click and glue. Ideal for the background. This building kit contains: 60 single parts in 2 colours.